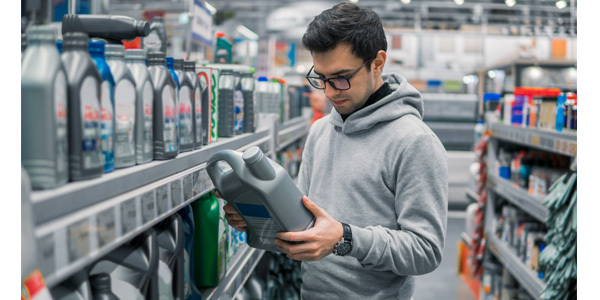 O’Reilly Automotive reported a 3.8 percent increase in comparable store sales for full-year 2019, marking its 26th consecutive year of growth in that key metric, which measures the performance of stores open at least one year. In the fourth quarter, sales from professional and DIY customers contributed to a 3.3 percent jump in same-store revenue growth, “with professional continuing to outperform DIY,” CEO and Co-President Greg Johnson explained during the company’s Feb. 6 conference call. Throughout the call, Johnson and other O’Reilly executives pointed to a shift in DIY spending habits, with Johnson asserting that “pricing increases across the economy put pressure on many of our DIY customers’ wallets” in the fourth quarter. “We expect DIY ticket counts to continue to be under pressure as our more economically constrained customers feel the pinch of rising prices across the economy and react by attempting to defer repairs or maintenance when possible,” Johnson said. Simply put, fewer DIY customers are coming into the stores, opting to put off oil changes and other basic maintenance. When they do come to the stores, it’s for more serious repairs. Consequently, the average transaction is higher, as DIY customers are purchasing more hard parts. And in general, auto parts and repairs are becoming more complex – and costly. “That customer would have to make necessary repairs to keep their car running and to get them to work, to the grocery store and what have you,” Johnson said. “But from a discretionary standpoint, when you get to items like routine maintenance, deferring oil changes, extended oil-change periods, filters and things like that – those things you can push out a little longer and your car still runs fine – you’re just not following the manufacturer’s recommended schedules for doing those.